Fluids strawberry cream is awesome! It’s just the right amount of balance. 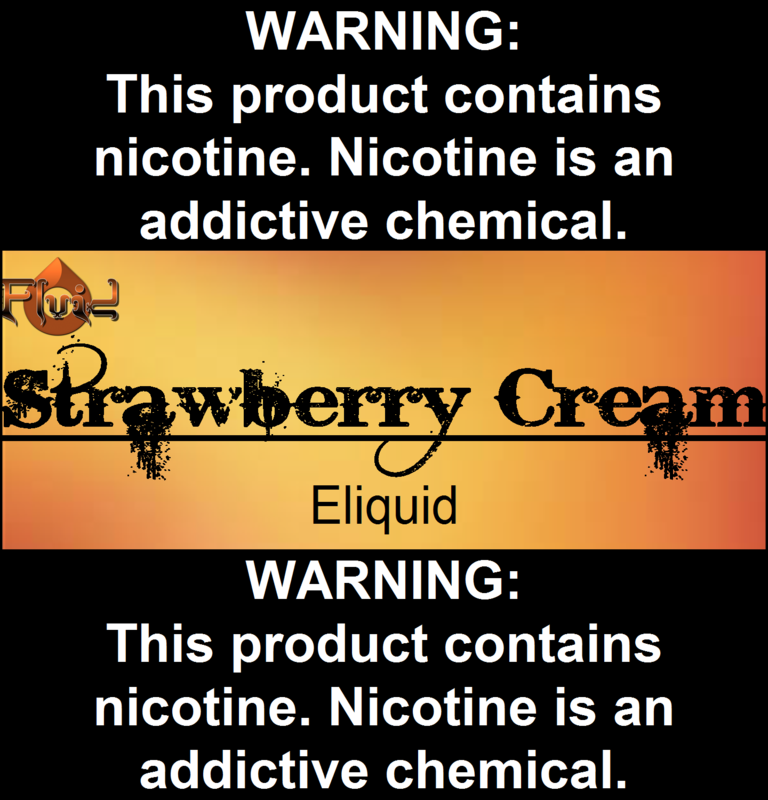 You taste a nice subtle strawberry and the cream smooths it out. Will definitely recommend! Fluid’s eliquid are the only ones I’ll buy. Very reasonably priced too! Thanks Fluid for making my Vaping experience even better. I accidentally posted this review in the Vanilla cream, so my review for their Vanilla cream is that I absolutely love it! Not overpowering, just right. Not to sweet eather. I finally found a company that I trust to make juices I can vape. Great job Fluid?? Always my "go to" fluid! It's the same flavor every pull. This Strawberry Cream doesnt have a harsh fruity throat burn. It's perfectly smooth everytime. Wow, awesome favor, smooth fruity taste. In a sealed dispenser.